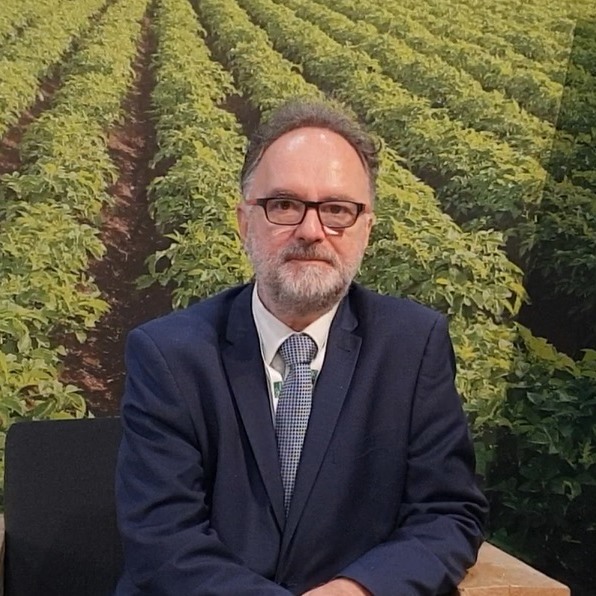 André Laperrière, Executive Director of Global Open Data for Agriculture & Nutrition (GODAN), talks to Việt Nam News reporter Trọng Kiên on the role of data in smart, hi-tech agriculture and sustainable development. What is the goal of advocating open data? What we pursue is a global knowledge sharing system (using data as its main conduit) in order to maximise efficiency and quality of food systems, especially in Asia and in Africa, where lies the largest untapped potential. We want to combine the best of key stakesholders in the agriculture/nutrition data ecosystems – Governments, research institutions, private companies large and small, or farmers’ organisations, etc. – to combine their data and diverse expertise in order to create and stimulate innovations. As often quoted by the former World Bank’s Executive Director, the relation between data and innovation can be described as a tripolar involvement: We have, first, the Government and its related research and academic institutions, who generate key statistics and data, then secondly, the population with specific economic needs to be met, and thirdly, the private sector, who is often best placed to make use of data to develop innovative applications and services to meet the needs of the population, within the policy environment set up by the State/Government. For example, I can think of free applications created by GODAN partners, which use mobile phones to allow farmers to tap into big data resources to identify and eliminate pests or other infestations harming their crops. Other partners make use of Geodata (Satellite, drones and sensors to also help farmers maximise the potential of their land, improve quantity and quality of their crops, reduce their costs (cutting down on unnecessary pesticides or chemical fertilisers for example). And these are only two examples of the technology we need to bring in to our farmers, big and small, in order to meet the world’s rising nutrition challenge and propel the agriculture sector to a higher level of efficiency. For this to happen, leadership starts with governments, with whom we work at developing and implementing the right policies to stimulate generation, dissemination and use of agriculture and nutrition data. Building on the right policy environment, we help stimulate private sector initiatives (big and small), NGOs and startups to make use of available data (in the country and from across the world) to create practical and impactful solutions. The role of the Government is especially important for places like Việt Nam. 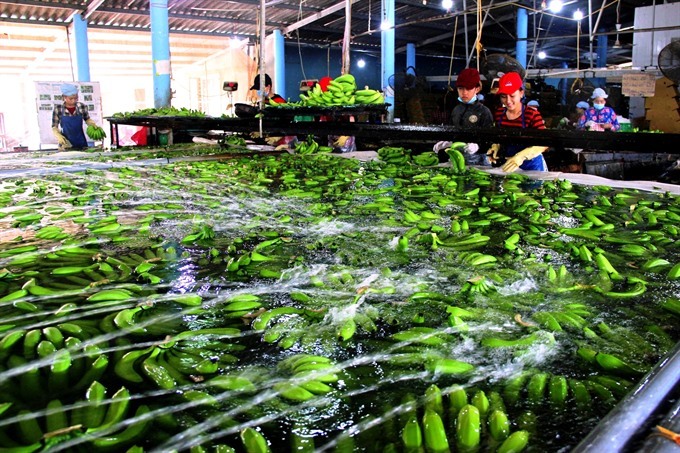 The world is moving towards digital economy and agriculture is a huge part of this and to the Vietnamese economy. Việt Nam needs to make sure it leaves no one behind in the turn towards the digital economy in general, and data driven agriculture in particular. This is especially important in the context of increasing regional and technical competition. Which could be done in terms of innovation in agriculture with open data? First, sharing and bringing in the country research data already available across the globe and working with Vietnamese researchers, the country can press forward in developing its own discovery based innovations. However as important as research is, this generally leads to a medium and long term impact; necessary but rarely leading to immediate impact. Second, we need to work together to assess techniques, knowledge and practices used in other parts of the global agriculture, but so far not yet brought to the region. In turn this will contribute to help Việt Nam take agriculture lead in the region. The third type of innovation that also arises from data, is through the combination of data/knowledge from sectors that until now have seldom interacted/worked together. For example, in the Gulf countries where we are working, they are trying to move away from reliance on oil because the time of oil is coming to an end soon, so they are looking to improve their traditional industries, which includes cultivation of dates. But since date cultivation has been neglected for some years now, the plantations are now old and because of climate change, they become very vulnerable to infestations. Their main challenge was the red weevil, an insect that drills into the date trees, multiply and eventually kill the hosts. At first, they send people in to look at trees and manually identify the sick ones that need to be injected with chemicals to get rid of the bugs. The problem is, once the tree starts to display signs of sickness, there could be fifty more around it are already infected but you don’t know yet. This is where drone technology came in, because trees are usually planted at the same time in plantations so they should reach the same height so drones can spot a few centimetres in difference so you can quickly pinpoint the ones that are likely infected in vast plantations that might have as many as two million trees. And that’s not all, treating the trees is also a very time-consuming process, so we help them in the development of a high-pressure vaccine gun technology until now used commonly by the American military to vaccinate large numbers of soldiers in a short timeframe before their deployment to a foreign country. Combining medical equipment manufacturing skills with agriculture is leading to a version of this gun, which instead of the vaccine, the content would be red weevil treatment remedy. This is an effective innovation, a meeting of two worlds – agriculture and medicine – that usually don’t talk to each other. We believe that there is plenty space for all three types of innovations, right here in Việt Nam, because one thing that impresses me about this country is its very young and well-educated population – an asset that can play a key role in Việt Nam becoming a leader in the digital economy of the region. What do you think to be the relations between smart or hi-tech agriculture and sustainability? Is smart agriculture a fashionable trend or a necessity for the future? There are three aspects to the relations between sustainability and smart agriculture. First, sustainable natural resource management. If you harvest the forest, you’d want more trees to come back otherwise there would be nothing left to harvest. In this regard, data plays an important role in helping us monitor the situation of the resources, whether they are increasing, declining or being affected by something, and rapidly finding the best way to address the situation. For example, in one of our projects in South Africa, where there is currently a huge water shortage problem. Our goal was to reduce water consumption in agriculture in an area by 30 per cent over five years, but using Geodata and other techniques, the goal was met within 18 months while irrigation surface actually increased 25 per cent at the same time. The project was so successful that it is being upscaled in Indonesia, targeting 200,000 farmers there. We want to replicate this kind of success in Việt Nam. Second, the issue of climate change. Agriculture is responsible for 30 per cent of the greenhouse gas emissions despite its relatively low productivity. Therefore, to increase yields while reducing emissions, we need to rethink the way we do agriculture. We also need to tackle the food waste issue, which is not just people throwing away leftovers but also the waste from the moment a tree is planted to the time a product is being transported, staying at the market or served at the restaurant. This is both an additional source of emissions as well as a significant economic and nutrition loss for the world. To quantify and address this, we also need data, very accurate ones because in fact, real food losses are even higher than 30 per cent since a lot of it is not even accounted for. We are working to combine satellite data with drone data and in situ data to get the best picture of a site, to identify infestations, gauge biomass, crop forecasting, crop surveys fast and efficiently and cheaply also nowadays. This is what we in GODAN, wish to help bring to Việt Nam, in partnership with the Government and its key institutions. We especially want to bring technologies to small farmers. In the US, we could have self-driven tractors, but the little farms won’t be able to afford that, but they could benefit from accessible data to achieve precision farming. In many emerging markets, there are start-ups that could help interpret free satellite images in a way that is relevant to the farmers’ cultivation, such as the amount of fertiliser needed to go into this specific location. André Laperrière, Executive Director of the non-profit Global Open Data for Agriculture & Nutrition (GODAN).